What are you willing to sacrifice for your job? Human life is obviously much too great of a sacrifice for a technology worker, but you at least need to give your time and energy to do a good job. Those who do exceptional work often make more of a sacrifice of their personal lives for their companies, as do people with higher levels of responsibility. 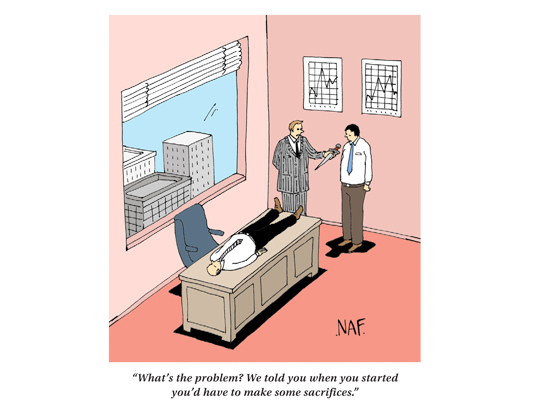 A company president is expected to make more sacrifices than a programmer, for example. Make no mistake though, you get out what you put in. Sacrifice isn't held in the highest esteem these days, but you won't get very far without it.